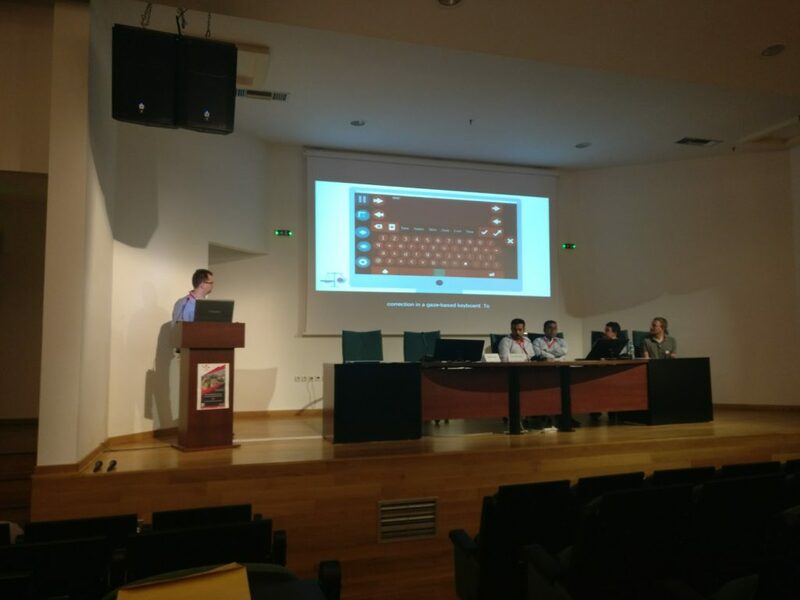 In the context of the IEEE CBMS 2017 – 30th International Symposium on Computer-based System, MAMEM had the opportunity to organise a special track on “MULTIMODAL INTERFACES FOR NATURAL HUMAN COMPUTER INTERACTION: THEORY AND APPLICATIONS”. During this session the MAMEM delegates had the opportunity to present the objectives of the project by demonstrating MAMEM’s video. In addition, apart from the overall concept of the project we also had the opportunity to present our concrete results on a) error-aware BCIS, b) on EEG Signal Processing Techniques Using Motor Imagery Data, c) on analyzing the Impact of Cognitive Load in Evaluating Gaze-Based Typing and d) on assessing the usability of gaze-adapted interface against conventional eye-based input emulation. PreviouslyDr. Nikolopoulos Spiros explains about MAMEM in media broadcaster 4E!